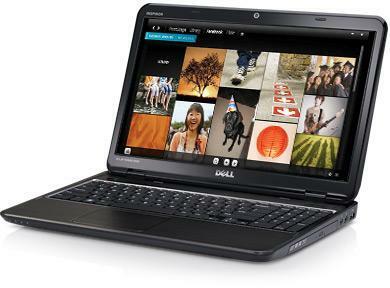 Dell Inspiron M511R is powered by AMD accelerated processor. This laptop has a 15.6-inch HD WLED True-Life display with AMD Radeon graphics. It offers up to 8 GB DDR3 memory. Dell Inspiron M511R features Bluetooth 3.0 + HS, 8-in-1 media card reader, one USB 2.0 with E-SATA & Power Share, three USB 3.0 ports, HDMI v1.3, 1.0 megapixel webcam, six-cell Lithium-Ion 48 WHr battery, and optional switchable lids.